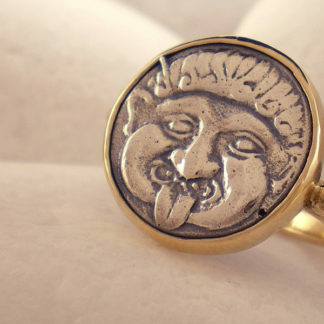 An avant-garde ring from the A. LeONDARAKIS collection that fascinates with its originality. 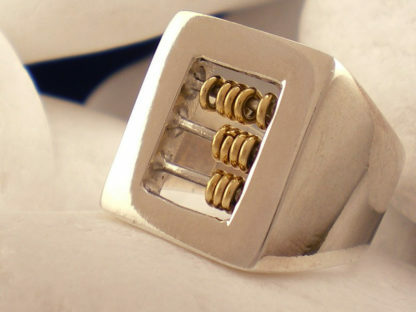 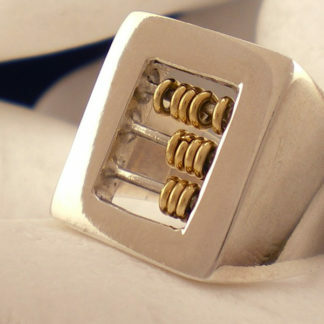 The ring is designed as an abacus, handmade from solid 925 sterling silver, and features 12 solid 18K gold beads that move freely and playfully on the sterling silver wires. 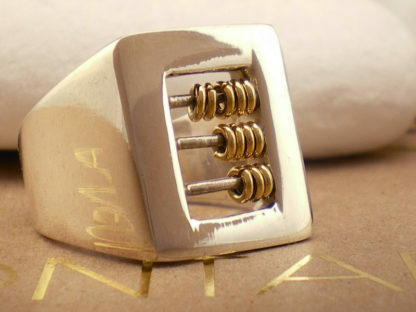 On the inside the ring carries the metal fineness stamp and the Workshop code ΩΙ34. 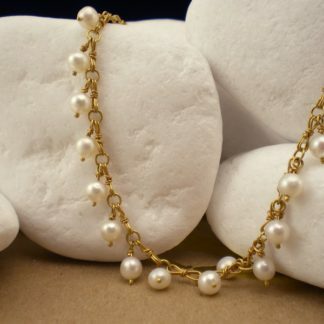 It will be sent to you in a presentation box for you to keep or present as a gift.